Entries are still being accepted for the upcoming Mary Brown Basketball Tournament. Brown, a former teacher at Artesia High School, was a favorite among students, known for her enthusiastic support of the Bulldog and Lady Bulldog sports teams. For more than 20 years, a basketball tournament has been held in her honor and as a fundraiser for the Mary Brown Memorial Scholarship. 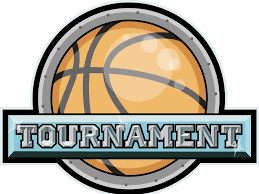 This year’s tournament is open to sixth- and seventh-grade youth and will begin around 5 p.m. Friday, June 29, then continue all day Saturday, June 30, at the Park Junior High School gym. Those interested in entering a team may contact Daniel Zamarron at 575-740-0420. Admission for the general public will be $2, and many door prizes will be awarded (must be present to win).